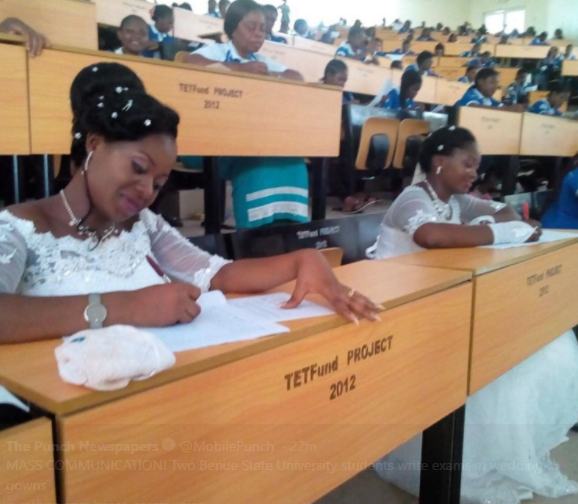 Two final-year Mass Communication students of the Benue State University were pictured writing their exam in their wedding gowns. 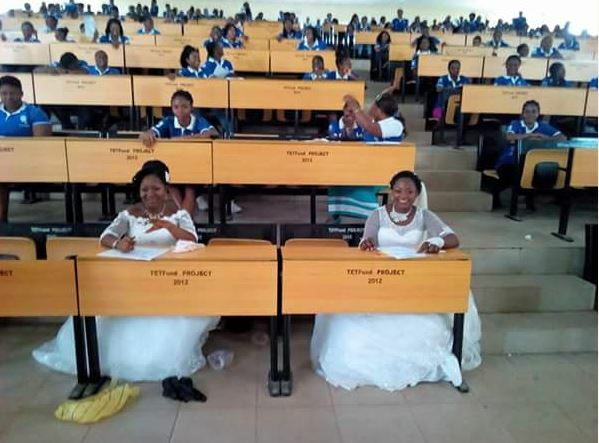 According to reports, the exam in question, Com 402: Media Law and Ethics, was scheduled for Saturday and it apparently clashed with their weddings and since the exam couldn’t be shifted, the two brides stormed the hall in their gowns. 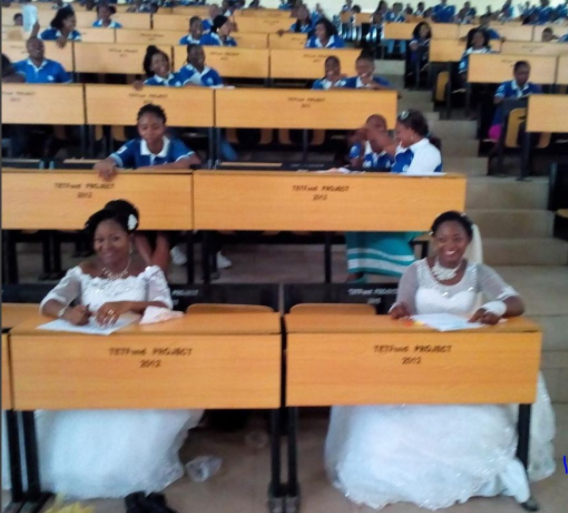 Mass Comm Department BSU in the news again, two graduating students in the Department today wrote their last examination Com 402: Media Law and Ethics in their wedding gowns.